Woww! 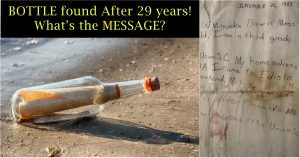 Woman Discovers The Message-In-A-Bottle She Threw Into The Sea 29 Years Ago, Thanks To Facebook! Ours is an esteemed generation of the Internet. We’re very much sophisticated with the plethora of means of social media networks to connect ourselves with our loved ones, known and strangers too. Social media has literally changed the way we pass our time. Now, to everybody’s wonder, Internet has connected the 37-Year-Old woman to the letter she threw into the sea 29 years ago. The story has surfaced the Internet soon after someone who found the bottled-letter at the other place and shared the details on the Facebook. 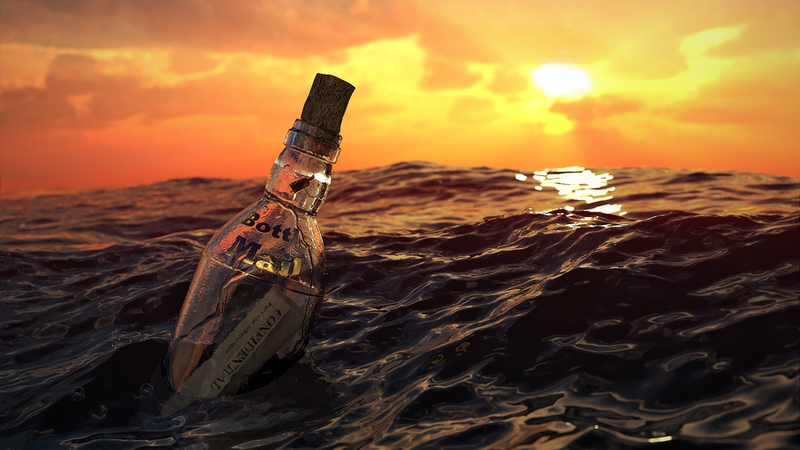 Coming to the story, it all started on 26th September 1988, when Miranda Chavez, an 8-year-old little girl has written a message, put it in a bottle and threw it into the sea on Edisto Beach. Now, after those 29 long years, a couple who went for a beach clean-up drive, found the letter washed up on the Sapelo Island, Georgia. Just after getting the letter from the bottle, the couple, Linda Humphries and her husband David shared the details of the note on Facebook, hoping to track the original writer. Miranda was smart enough to include her then address on the note, though she moved out of her childhood home where she lived in her teenage. And, credits to the social media, now it’s quite easy to connect to people one way or the other. That’s how Chavez laid her eyes on her oldest possible letter.